How far can PR help when a brand’s business model is so clearly flawed? That must be the question the Netflix PR team is asking itself this week. As a tech PR agency, we’ve advised and managed a fair few product/service announcements over the years. So I was interested to read some of the backlash to Netflix’s recent launch of Qwikster, the US company’s rebranded DVD-by post service. To say Netflix has experienced a negative press reaction after this blog post is an understatement. It’s easy to see that Netflix is between a rock and a hard place. Ironically, it was a company that, years ago, saw a niche in the market and brought about the decline of Blockbuster and other traditional video rental companies. But it too is now experiencing a crisis moment as online streaming renders DVDs useless and as other media companies and publishers aim to capitalise on consumer appetite for content. But despite the tricky situation Netflix finds itself in, the way it has handled the launch of Qwikster has hardly showered it in plaudits. Whenever we kick start a tech PR campaign we always recommend spending time with the company in question to go over messaging and positioning, especially if it relates to a new product or launch. It’s important; working out how the company wants to present itself to the audiences it is trying to reach. That’s not positioning. He tries in vain to explain to customers why this path is a necessary one for the company, but it isn’t convincing. 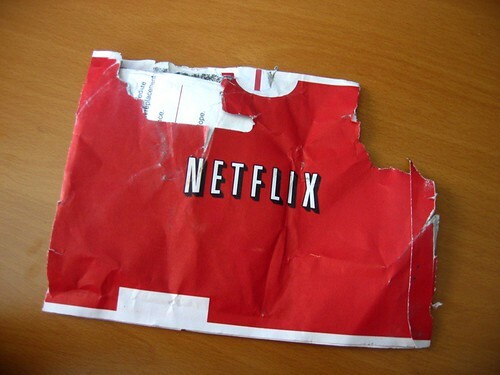 Another clear failing for Netflix is the rebrand itself. Rebranding the part of your business everyone knows you for (DVD rental) and then merely transferring this brand to a new service (movie streaming) seems confusing and bizarre. ‘Qwikster’ as a brand name has many things going against it; it has little obvious link with the Netflix brand and the company clearly failed to check things like Twitter accounts before launching – pretty common sense stuff these days. Following the pricing changes, Netflix customers vented loud and clear. While the blog post acknowledges this fact, it doesn’t ‘give anything back’. How hard would it be for the company to come out and say sorry, give existing customers a discount on future services or tempt customers that have left back with a few months’ free rentals? The blog post started off as an apology, but it didn’t really give any concessions to angry customers – just announced a rebrand. Can you see why they are upset? Netflix is clearly a brand in trouble but the actions of the company over the last few months has hardly won it any plaudits. It’s impossible to imagine that no-one at the company saw this backlash coming, which suggests that it is in a desperate situation. As a tech PR agency, we work with many companies at the ‘cutting edge’ many of whom have disruptive technologies. Protecting your business from technological change is increasingly important across the board. The importance of communicating these changes to your customer base in a way that doesn’t make them feel like dirt is something Netflix has failed to do and that many other companies should take note of. Actions speak louder than words. But words help people to understand actions.